Really there is no such thing as a DAY OFF for me. Often people say to me… you need to DISCONNECT, you need to take some ME TIME, you need to RELAX. And while I appreciate – and can even understand – their concern, actually, I’m good. In fact, I’ve never been better. Because the very naïve comment I made back in my early twenties, when asked what I wanted to do with my life – “I’m not really sure WHAT it is, but I just want it to be what I would do anyhow when I get up in the morning” – has actually come to be true. This is my job. And it is also my life. So on this particular day off – which for me means I don’t have any food tours booked – I went out about midday, after answering emails and finishing up some details for my accountant, and thought it would be nice to have some manzanilla at La Azotea… you know, so I could do #manzanillamonday on Instagram… and so we did that. Then it was home again, to try out a new “smashed potato” recipe I’d found online, which turned out to be amazing. And my friend Peter @SVQConcierge came over to have lunch and also hang out and Netflix with me and the cats. After that? Peter went home but I still had a bit more stuff I wanted to do. Some photo editing, a few more emails to answer. And then it was time for bed. So yeah, I guess there never is anything for me as a TOTAL DAY OFF. But I don’t even think I’d want one. My work, my life… it’s all the same thing. 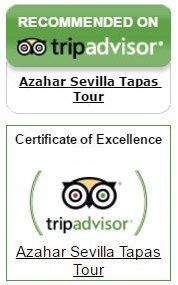 sevilla tapas in the washington post! The last time my friend Sylvie was in town we talked about her coming back to do an article about the evolution of tapas in Sevilla. 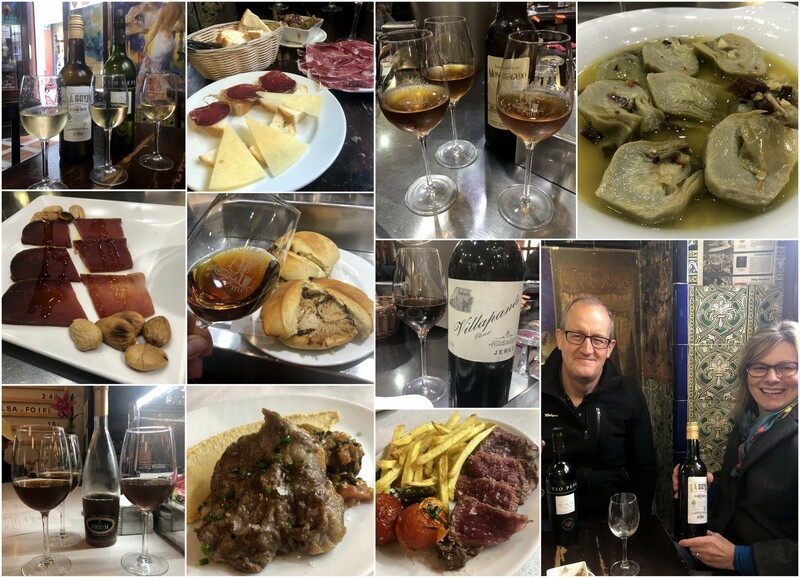 For awhile it looked like it wasn’t going to happen, then suddenly it was all systems go and before long we were meeting at her hotel for what would become a fun and delicious three-day Tapeo Extremo.